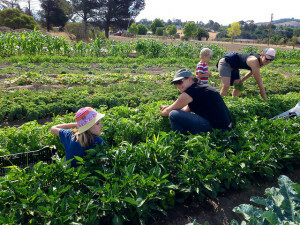 GleanSLO has a unique opportunity to partner with a special farm. Typically GleanSLO gathers the excess, the unharvested, the not-so-pretty looking produce and donates it to our neighbors in need. Firstfruits Farm is different. It is a 100% volunteer run effort, operating on donations of everything from seed to compost. They grow perfect, organic produce FOR our neighbors in need. Firstfruits Farm donates the first pick, not the seconds. The farm is managed under the skilled hand of Darin Laity. 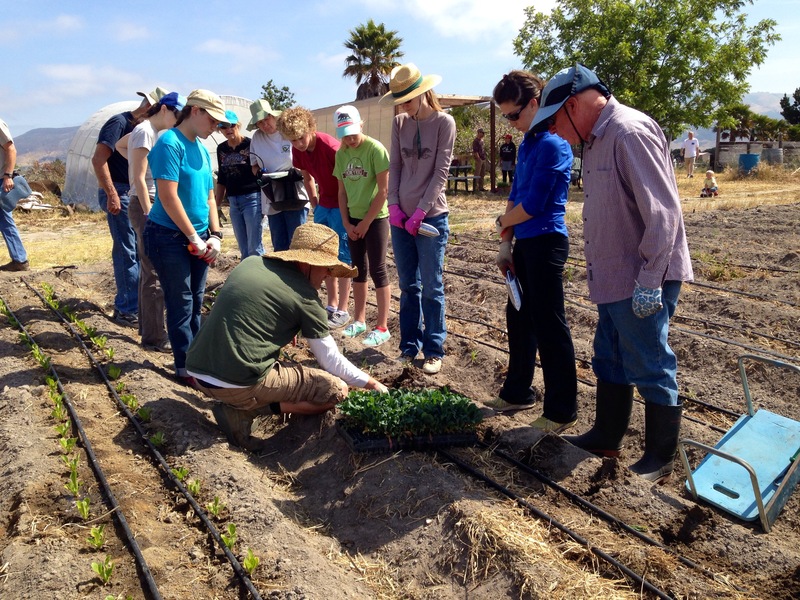 Produce is grown and harvested by loving volunteers coming from various sources including Trinity Church, Grace Church and GleanSLO. Veggies are distributed at God’s Storehouse at Grace Church as well as several other food pantries. 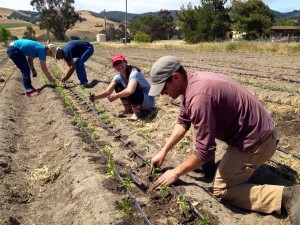 “Firstfruits Farm is a small but growing little farm, tucked away behind the SLO airport off of Davenport Creek Road. 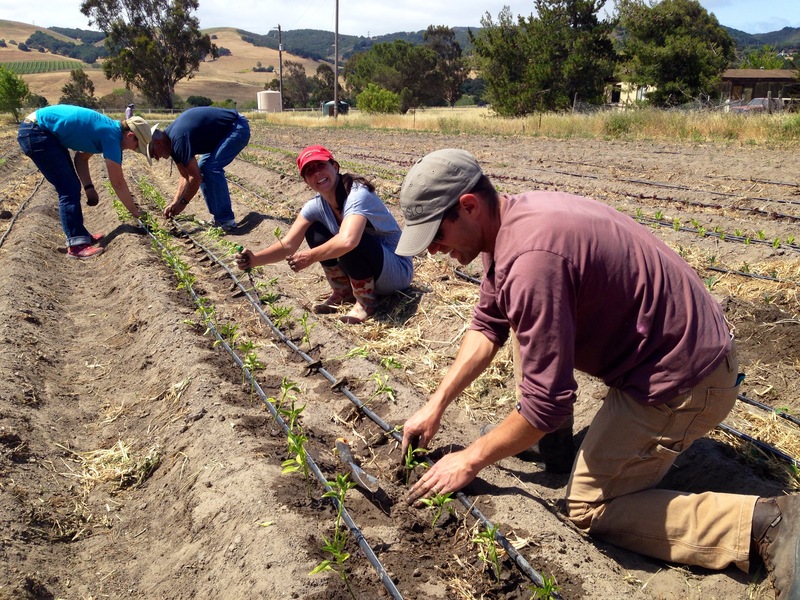 Started in 2013 by Trinity Presbyterian Church in SLO, Firstfruits Farm borrows its name from the bible. In the Old Testament, God instructed his people to offer the firstfruits of their harvest as an act of thanksgiving and gratitude. In this spirit, Trinity wants to offer our best to the people of this city, and the farm is our effort make top quality, organically grown vegetables available to residents of our city who cannot easily afford healthy, fresh food. We do this for a number of reasons: We believe God created all people in his image, with dignity and worth. We believe that our bodies matter as much as our souls. We believe that access to healthy food is a matter of basic justice. We believe that God is graciously renewing this broken world, and that when we pursue healing and restoration, we are acting in faith that God will bring perfect healing and restoration one day. We also believe, along with Wendell Berry that “Christian agriculture [is] formed upon the understanding that it is sinful for people to misuse or destroy what they did not make. The Creation is a unique, irreplaceable gift, therefore to be used with humility, respect, and skill.” In short, we support and work with this farm because of our Christian convictions. Firstfruits Farm is a special place, an ideal volunteer opportunity for families. You’ll find a sandbox, picnic tables, wildflower and native bee garden and 2 acres of assorted organic veggies – cucumbers, bell peppers, chard, several varieties of kale, herbs, corn, tomatoes, melons, squash, eggplant, and a small orchard full of ancient varieties of fruit trees! This entry was posted in Uncategorized on 07/30/2014 by gleanslo. 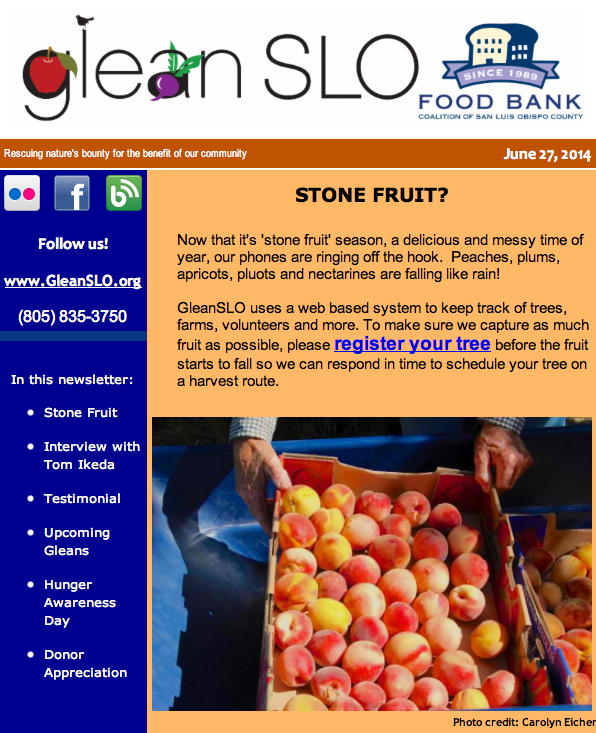 GleanSLO trained a dozen Neighborhood Harvest Leaders earlier this year to lead small gleans in their neighborhoods. During these summer months, stone fruit is ripening early… and all at once… all over the county. We are averaging over 10 gleans/week! With minimal support from staff, Neighborhood Harvest Leaders take charge of the small gleans, gather the equipment they need, meet a handful of other volunteers and make sure everyone is safe and having fun while picking the extra fruit. They deliver the rescued produce to a nearby food pantry. 1. Why are you interested in gleaning? 2. How did you first make contact with GleanSLO? 3. What is your favorite part about neighborhood harvests? 4. 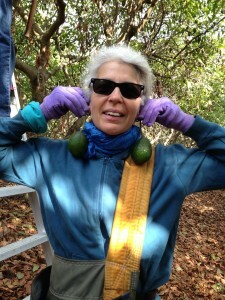 How does gleaning make you feel? 5. Have you ever been at a distribution or seen the food you picked be received by a food pantry or hungry family? What was that like? If you would like to become a Neighborhood Harvest Leader, we’ll be training the next group of NHL’s on Saturday, August 23rd. Save the date and stay tuned for more details! 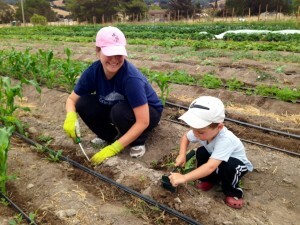 This entry was posted in Backyard Harvests, GleanSLO Interviews on 07/10/2014 by gleanslo. Read the complete June newsletter here. This entry was posted in Archived Newsletters on 07/01/2014 by gleanslo.